Griffin player passes to a teammate. Griffin defeated Starr’s Mill 50-43 in the Region 3-AAAAA tournament championship. The win avenged their last-second loss to the Lady Panthers in the semifinals of last year’s tournament. 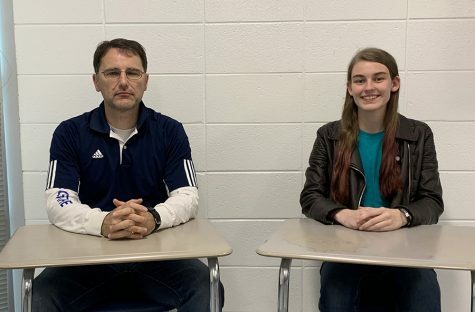 Exactly a year ago on Feb. 8, then sophomore Alice Anne Hudson launched a half-court shot that eliminated the Griffin Bears from the Region 3-AAAAA tournament. 365 days later, however, the Lady Bears avenged their loss to Starr’s Mill in the region championship game, winning 50-43 for the tournament crown. Freshman Jaclyn Hester led the way for the Lady Panthers, totaling 11 points and nine rebounds. Junior Alice Anne Hudson played a balanced game, finishing with eight points, eight rebounds, and five assists, but the Mill’s all-time leading scorer only took five shot attempts. Junior Ashtyn Lally, who recently returned from injury, struggled from the field, missing four of her six shot attempts. Griffin used a full court press that disturbed the Lady Panthers all night. Offensively, the scoring was balanced between the players, and their team effort on defense dismantled Starr’s Mill. 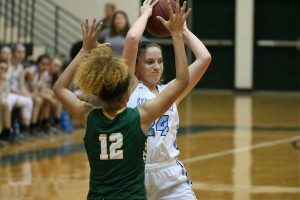 The Lady bears held Hudson to one of her lowest scoring games this year. Starr’s Mill opened the game on a 6-0 run that featured two jumpers from Hester. Griffin responded soundly with a 10-3 run of their own to take a 10-9 lead. Their aggressive defense resulted in many points off of turnovers. The Lady Bears scored the final two points of the quarter, and held a 12-9 lead going into the second. Junior Ryanne King scans the court for a teammate to pass to. 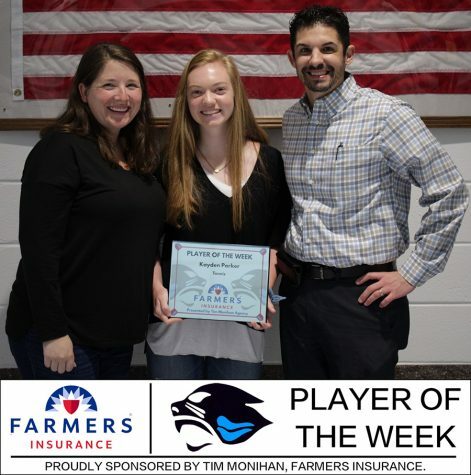 The all-time leading scorer in Starr’s Mill history, junior Alice Anne Hudson, was limited to five shots against the Lady Bears. Despite this, she still managed to fill the stat sheet with eight points, eight rebounds, five assists and two steals. 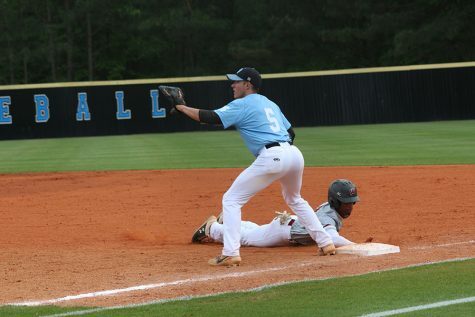 Starr’s Mill continued to struggle against Griffin’s defense, turning the ball over nearly every possession. The Bears couldn’t build a lead, however, as they went cold from the free throw line despite frequent trips to the charity stripe. The Lady Panthers managed to gain a narrow 21-20 lead going into halftime, despite their poor play on offense. The third quarter saw the Lady Bears begin to distance themselves from the Mill. 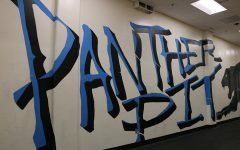 The Lady Panthers continued to turn the ball over and couldn’t find a rhythm on offense. 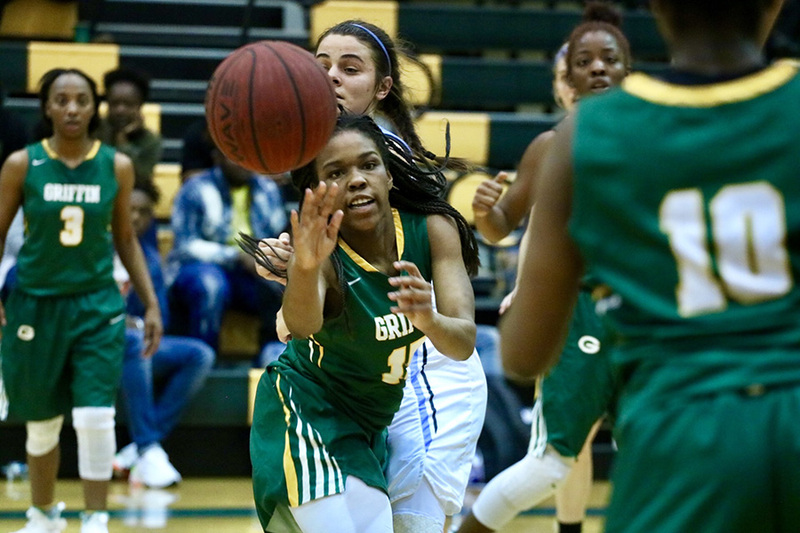 Griffin scored easy baskets on fast breaks and ended up outscoring Starr’s Mill 15-9 in the quarter, and led 35-30 entering the final quarter. The fourth quarter was very similar to the third, and Griffin only extended their lead. 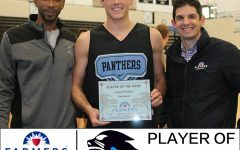 The Panthers found more open looks than in previous quarters, but they failed to connect on the jumpers. Starr’s Mill finished the game shooting 4 of 18 from distance. The Lady Bears began to make free throws, and prevented any comeback from the Mill. Once the final buzzer sounded, Griffin was crowned region champions with their 50-43 win over Starr’s Mill. 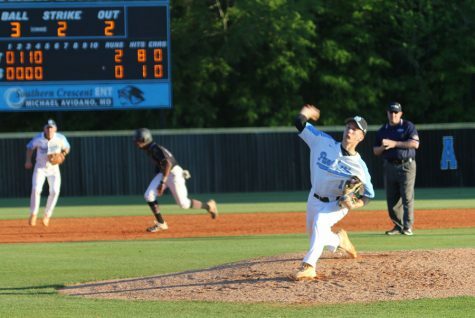 Griffin will enter the GHSA State tournament as a No. 1 seed, and they will host their first round matchup. Starr’s Mill, a No. 2 seed in the tournament, will also host their first round contest against Ware County. The 14-8 Gators finished 6-2 in their region, but finished third in their region tournament. 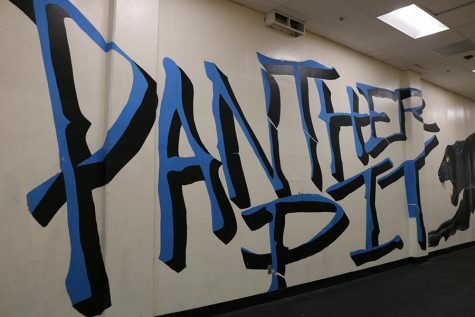 They will travel to the Panther Pit to take on the Lady Panthers at 5 p.m. on Feb. 15.